Hailed as a genius by some, labelled an out-of-fashion misogynist by others, he’s probably best known for his novels Sons and Lovers and Lady Chatterley’s Lover. But he also explored an extraordinary range of emotions and subject matter and was a prolific short story writer, poet, playwright, essayist, translator, painter and man of letters. Ironically, Lawrence was born in the same month we now celebrate Banned Books Week. 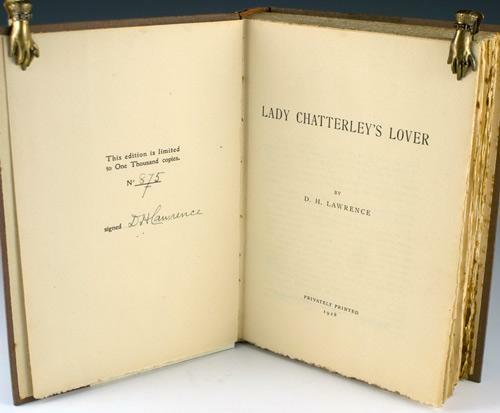 His novel Lady Chatterley’s Lover being a poster child for censorship for it was banned for more than 30 years in both Britain and America after it was published. 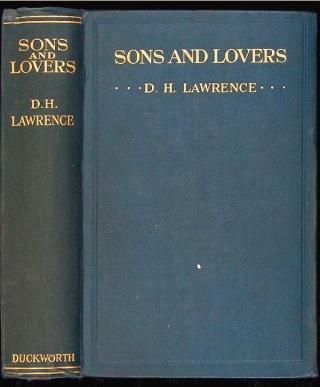 For more on Lawrence, the University of Nottingham has a website devoted to all things D.H. Lawrence. 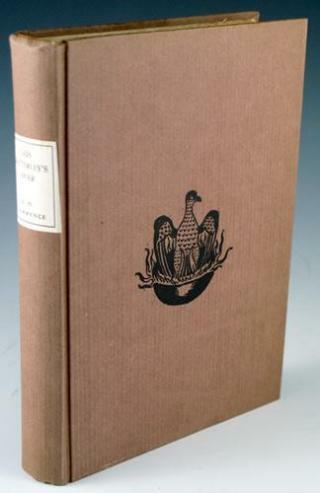 The First Edition of Lady Chatterley’s Lover, 1928. One of 1,000 copies, numbered and signed by the author. 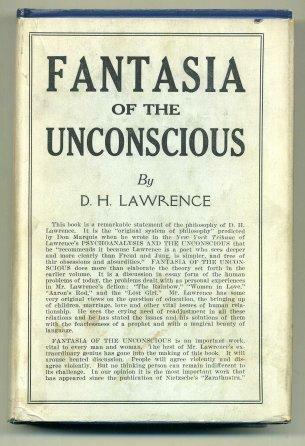 Lawrence had the book privately printed in Italy by the Tipografia Giuntina for subscribers after being refused by British and American publishers who questioned the novel’s subject and language. 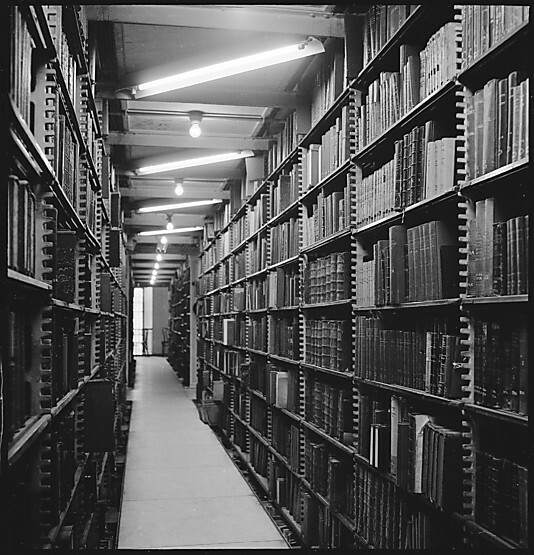 Open, legitimate publication of the novel was not allowed in either country until 1960, more than thirty years later, after several landmark trials. 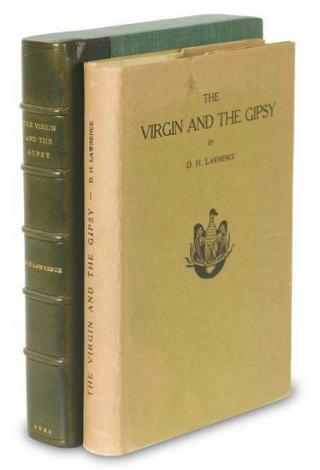 The Virgin And The Gipsy. Published by G. Orioli Florence, 1930. 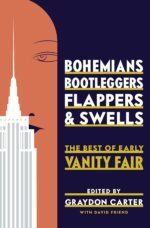 First Edition in a first issue dust jacket. 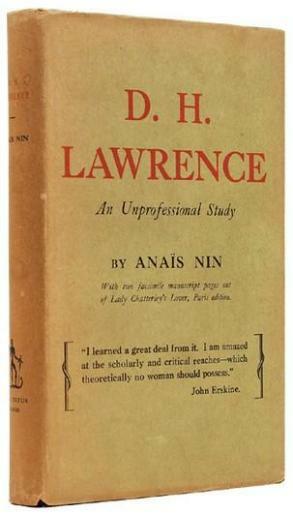 D. H. Lawrence An Unprofessional Study by Anais Nin. Published in Paris by Edward W. Titus, 1932. First edition, first impression of the author’s first book, and the first book about Lawrence written by a woman. With two facsimile manuscript pages of Lady Chatterley’s Lover Paris edition. One of a limited edition of 550 numbered copies. Fantasia of the Unconscious. Published by Thomas Seltzer in New York, 1922.